Bass Strait is one of the world’s most challenging waterways. Strong currents between the Antarctic-driven southeast portions of the Indian Ocean and the Tasman Sea’s Pacific Ocean waters provide a strait of powerful, wild storm waves. The history of these waters tells the story with hundreds of shipwrecks along the Tasmanian and Victorian coastlines. Thankfully modern marine navigation and weather forecasting has made this crossing much safer but it is not free of risk. It is for safety reasons that, from time to time, Bass Island Line (BIL) needs to make the decision to delay or bring forward a sailing in the Bass Strait. These decisions are not made lightly. We recognise that there are implicatons for our customers and the community. Decisions to change a crossing are based on a host of factors, not just the weather. The Master considers crew safety, the nature of the cargo, livestock welfare, port bookings, protection of equipment and deadlines. The Master and crew keep a close eye on the ever changing conditions in the Bass Strait. They are always looking to the week ahead, analysing weather patterns, booking schedules and seeking advice from ports and authorities in order to judge the conditions and make the best decisions they can about crossings, with safety front of mind. Three days out is a critical focus for the Master and crew. This is when the decisins have to be made to change a crossing time. A decision three days out gives customers, contractors and the port staff time to change their business arrangements and schedules. 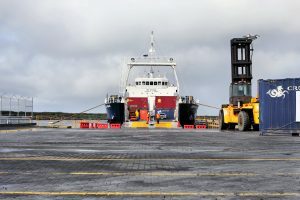 Having three days’ notice makes it easier for customers to delay bringing cargo to the port. 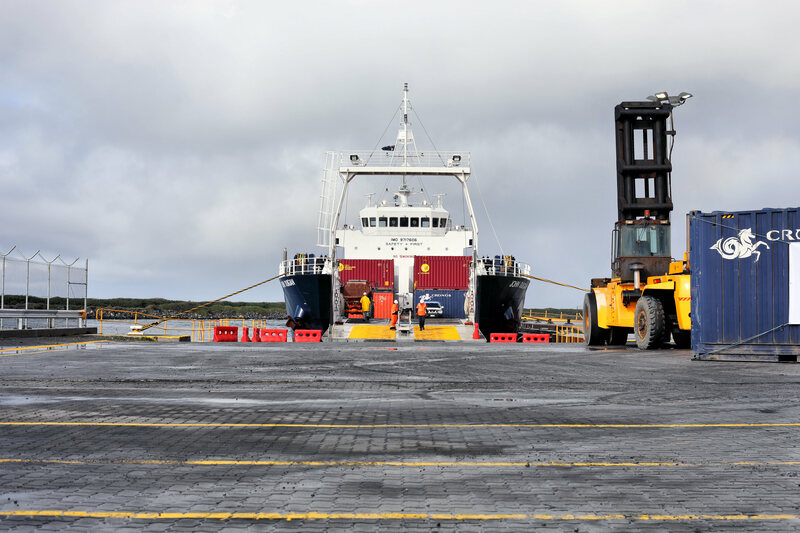 Freight companies dispatching cargo from the arriving port can also be advised and staff and lifting equipment can be rescheduled. The process is thorough and the call is made as early as possible, so we can advise our customers as soon as possible. Shipping is a complex business, made harder in Tasmania by the challenges of the Bass Strait. Next time there is a change to a crossing, rest assured that a lot of thought and consideration has gone into making that tough decision and our priority is to deliver a safe, regular and reliable service.